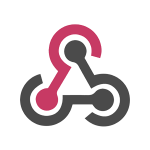 A webhook is simply a way for an app to provide other applications with real-time information. A webhook delivers data to other applications as it happens, meaning you get data immediately. It is recommendable to use webhooks when you don’t want or cannot (due to API restrictions) constantly “call” to a certain system in order to check if it has received any new or updated data, even if in fact, there is no valuable information to fetch most of the time. Instead, webhooks allow you to receive information only when new or updated data has indeed come in. This is an open source connector for sending and receiving webhooks on the elastic.io platform. It supports both triggers and actions, which means you can use it either to execute or to act upon a certain event. In the case of this particular connector, you can send and receive certain data. Like with all other elastic.io connectors that are under the Apache license, you can clone it and enhance it yourself to include more functionalities out of the box. Alternatively, you can contact our pre-sales team at ps[at]elastic.io if you prefer our developers to extend the Webhook integration connector for you. PLEASE NOTE: You need to be registered on the elastic.io integration platform in order to use the Webhook integration connector. You can sign up for a trial period here.